A critical firing of the Galileo spacecraft's main engine was successfully completed early this morning in a maneuver that took the spacecraft off a collision course with Jupiter and adjusted the spacecraft's flight path to begin its mission in orbit around the giant planet later this year. As planned, Galileo has been on a Jupiter-impact trajectory since targeting and releasing its atmospheric probe toward the planet two weeks ago. The engine firing this morning moved Galileo off that trajectory and positioned the spacecraft for the first close encounter of its Jupiter mission -- a flyby of the volcanic moon Io on December 7. The rocket firing was the first major burn by the spacecraft's German-made main engine and served as a demonstration of the engine's overall operability. The next use of the engine comes December 7 when a major 47-minute firing will be required to brake the spacecraft to allow it to be captured into orbit around Jupiter. 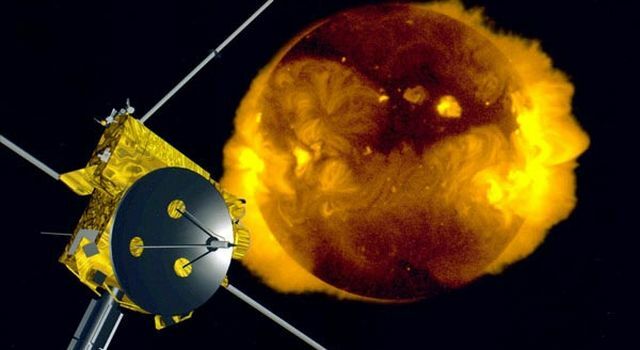 That firing will be the largest such maneuver of the Galileo mission. 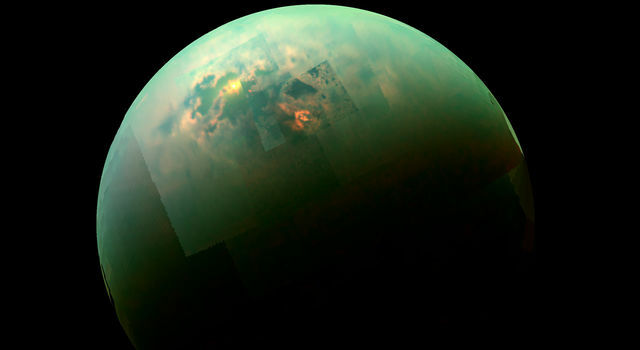 The main engine could not be tested or fired prior to release of the atmospheric probe because the probe was mounted in front of the engine nozzle. The orbiter deflection maneuver was designed to change the spacecraft's velocity by 61.9 meters per second (about 140 miles per hour). The Galileo spacecraft, which will enter orbit around Jupiter on December 7, will conduct a two-year-long, detailed study of the planet, its moons and magnetic environment, and return data from the atmospheric probe, which will dive into Jupiter December 7. Galileo was launched in October 1989 aboard Space Shuttle Atlantis from NASA's Kennedy Space Center, FL. 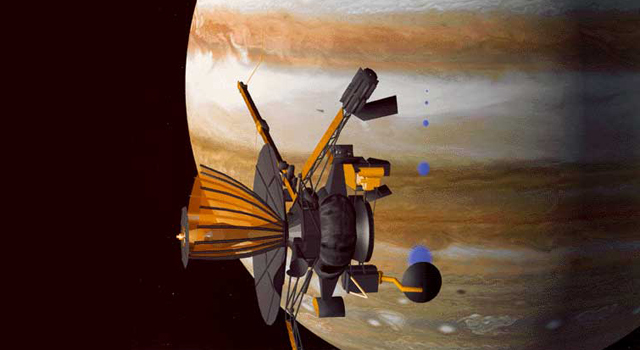 Galileo's Jupiter atmospheric probe is managed by NASA's Ames Research Center, Mountain View, CA. 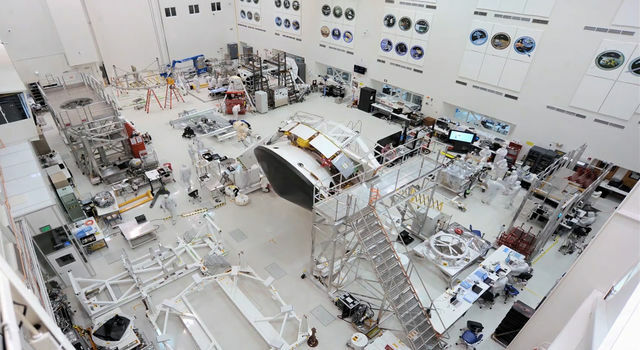 The Galileo spacecraft was built and the overall mission is managed by JPL.